One of the UAB pubs - 'Urban Art Bar'. 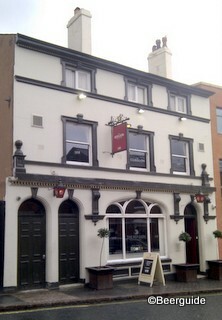 It serves some real ales and does food at lunchtimes and in the evenings. There is a vegetarian selection. It was refurbished in 2008 and shows Sky sports, but only in the function room thankfully.